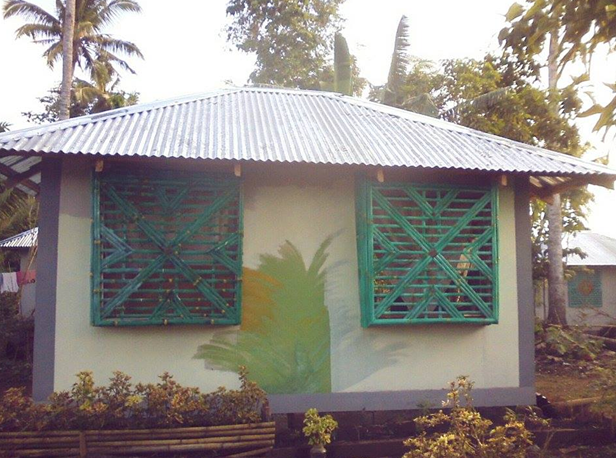 Their rebuilt house in Manila brought restoration and peace to Rene’s family. When Typhoon Haiyan tore through Southeast Asia in November 2013, it was one of the strongest, most devastating tropical cyclones ever recorded. With its death toll reaching more than 6,300 people, Haiyan also left many lives and homes in shambles. For those of you who do not know Dennis and Ellen Hierl and their daughter Brooklyn, they are a family that are a part of High Point Church. You may recognize the names from the Sunday morning prayer requests asking you to pray for healing for Dennis from a brain tumor. It’s been quite the journey for them – but as anyone will see when you read their blog, they are trusting the Lord through it all and depending on Him each step of the way. We wanted to share the most recent ways this family saw God provide in their lives and what He’s been teaching them most recently. Last Sunday’s sermon on Job impacted me, and I wanted to share and reflect upon the impact the sermon had on my perception of God, the world, and my own life. This was a humbling sermon, and it lifted a veil of darkness from my eyes and helped me to see more clearly what has been happening to me. When I went to college, I had a strong faith in God that I thought could never be shaken. I learned to depend upon God early on in life. I experienced the closeness of his presence regularly during my quiet times. During those times, I would close the door to my bedroom, lay down on the floor or kneel by my bed, close my eyes, and let God talk to me through his word and through journaling. During the Sunday service, we got to hear Lori’s story. The way that God grabbed hold of Lori in the past six months is so encouraging. It’s such a testimony to how the Lord continues to pursue us, even when we push Him away and try to do things on our own. What made me smile even more was to hear how Lori has found a home and family at High Point Church. Praise God for how He’s working in this congregation.